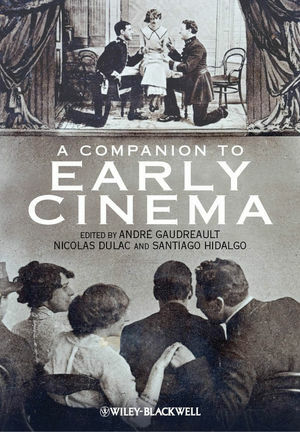 Dr. Kathryn Fuller-Seeley’s essay, entitled “Storefront Theater Advertising and the Evolution of the American Film Poster,” is in the new book The Companion to Early Cinema, published by Wiley-Blackwell. Did you ever wonder why or when movie theaters started to put posters outside entrances? This essay discusses that very concept and traces the theater poster’s history back to its roots. The ebook version has just been ordered and should be in later this week–check back with us in a few days! Dr. Alessandra Raengo has an article in the latest issue of the open access World Picture Journal. The essay, titled “Reification, Reanimation, and the Money of the Real” is “an exercise in a form of looking from a distance.” Through the essay, Dr. Raengo draws out the relationships between Ken Jacob’s 3-minute experimental film Capitalism: Slavery, which uses historical images of slaves picking cotton, and Grace Jones’s song “Corporate Cannibal.” The relationship between these two cultural objects centers around three ideas: “race, photography, and capital.” Watch Jacobs’s film here; see the video for Jones’s song here. This entry was posted in Art & Design, Faculty Publications and Research, Film & Media, For Faculty, Publications and Research. Bookmark the permalink.